Multi-Plier 600 - Bluntnose Stainless w/ Carbide Insert Cutters, Sheath. This version of the Gerber MP600 Blunt nose is much the same as previous versions with one major advancement. This model 07500G features the interchangeable carbide cutters that are capable of cutting piano wire. The carbide cutters have 3 sides that can be worn out before you have to change them. 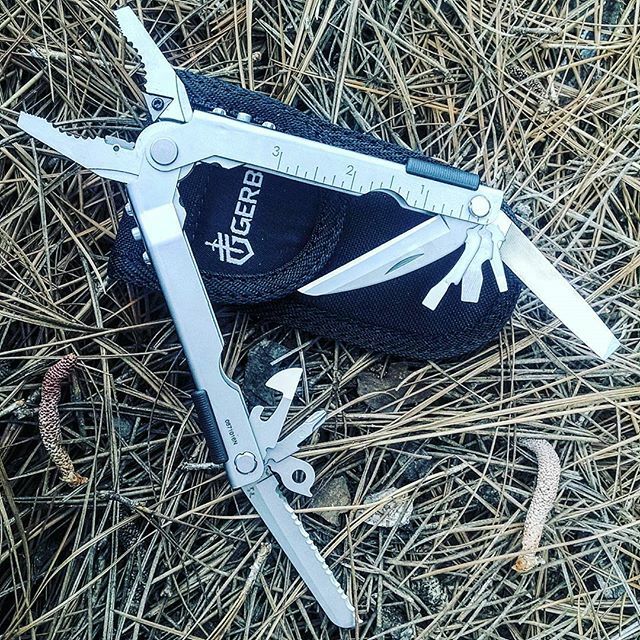 This multi tool contains about 15 components in all. Ballistic nylon sheath included. So 07500G is the same mulitool as 07500, the only difference is that there is the carbide cutters in the plier head.